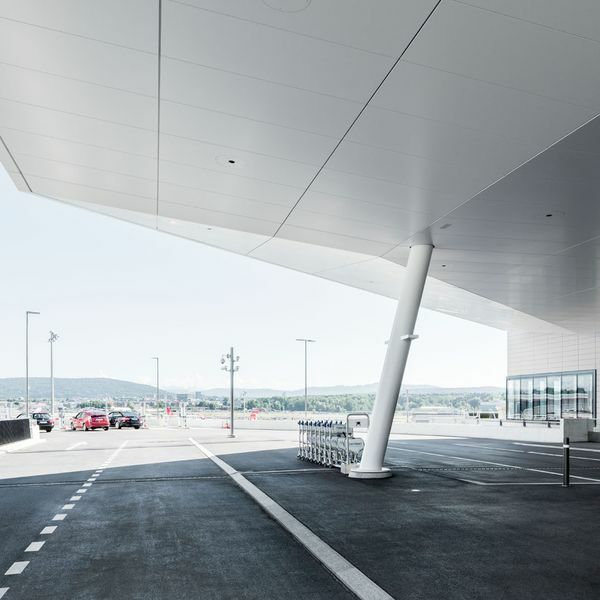 Like a boldly hoisted sail, the roof of the access zones at Zurich Airport juts out into the sky with elegant panache, linking terminal buildings A and B. This, the latest project that we have been able to realize for Switzerland's largest airport, was put into service in June 2016. 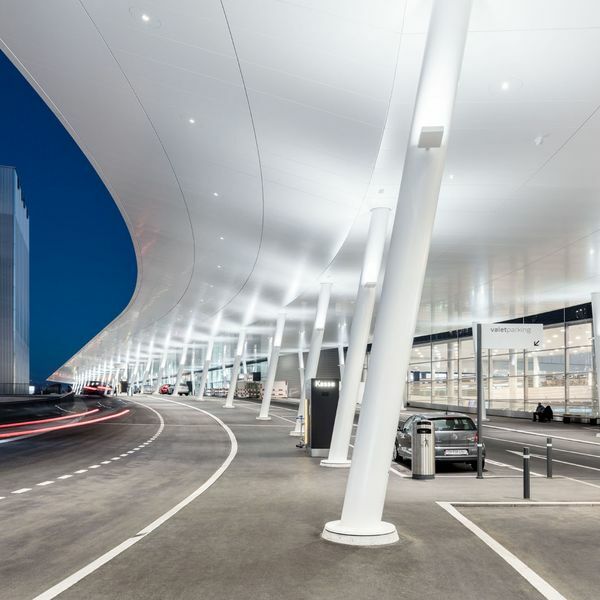 The access zones provide a portal to the airport and have a new elegant appearance that welcomes travelers, guests and staff before they enter the airport building. In the 2009 invitation to tender for the redesign of this area, it was made clear that Zurich Airport wanted a new visual identity. Our proposed solution, an eye-catchingly formed 350-meter-long roof, convinced the competition jury. Sophisticated and solid at the same time, the roof overcomes the terrain's three-meter difference in height with a single flowing gesture. Its dynamic language of forms and its selected materials incorporate airport-specific elements, while its striking projection also makes it a highly distinctive feature. 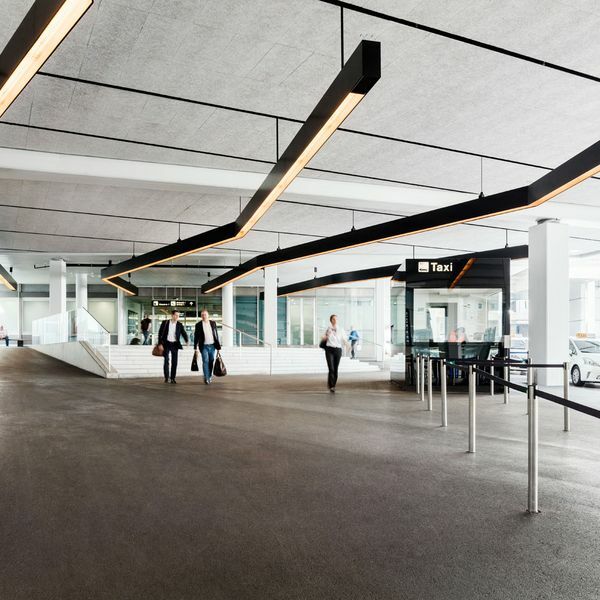 The lighting concept is an essential component of the redesign: the access zones appear friendly and cheerful during the day, and at night the soffit reflects the light of the LEDs, creating a bright and lucid atmosphere in the transit area. The uniform road surfaces and clear route marking aid orientation and help to “choreograph” the flows of people and vehicles smoothly, even during peak hours. The geometry of the roof's curve had to be harmonized with both the course of the road and the building beneath, so the curve was constructed with a variable radius that enables tangential connection to the straight roof sections at both ends. We are proud that after Terminal B and the Unique One headquarters, we have once again successfully turned a vision into reality at Zurich Airport and set an architectural benchmark.